Leading Edge (LE): How does ALMASOL work? Javier Giménez (JG): ALMASOL focusses on developing industrial, commercial and logistics sites in a built to suit manner, according to clients’ requirements. We start by searching for the best locations, before looking at design options with the client, then moving on to the building work itself and finally handing over the keys. LE: The Paraguay of today has been built on three major pillars: wealth, growth and opportunities. What motivates international companies such as Unilever, Leoni, Sumidenso and Yazaki to put down roots in Paraguay? JG: Unilever is a bit of a special case; they have been in the country for over 50 years and they have decided to invest in the most modern distribution centre in Paraguay. Together with Tasa Logística, we have established a good reputation in the market and for this reason, we were awarded most construction projects going, including their handover. In the case of Leoni, Sumidenso and Yazaki, as far as we are aware they were drawn to invest in Paraguay because of the unique conditions on a regional level, and they have had the full backing of the government which has brought them great success. When we say unique conditions, we mean a clear legal framework, unbeatable tax conditions, access to a qualified workforce, and incentives for exporting their own products to large neighbouring markets. LE: Please tell us about your logistics centres. Melissa Lombardo (ML): ALMASOL currently owns 80,000m2 of industrial logistic complexes divided into five large units, located in different cities within Central, which is one of the country’s departments. These were built to measure, following the specific characteristics of each client. In addition, we are building the largest industrial logistics park in the neighbouring industrial city of Guarambare, which will mean that over 100,000m2 will be available from July 2018. 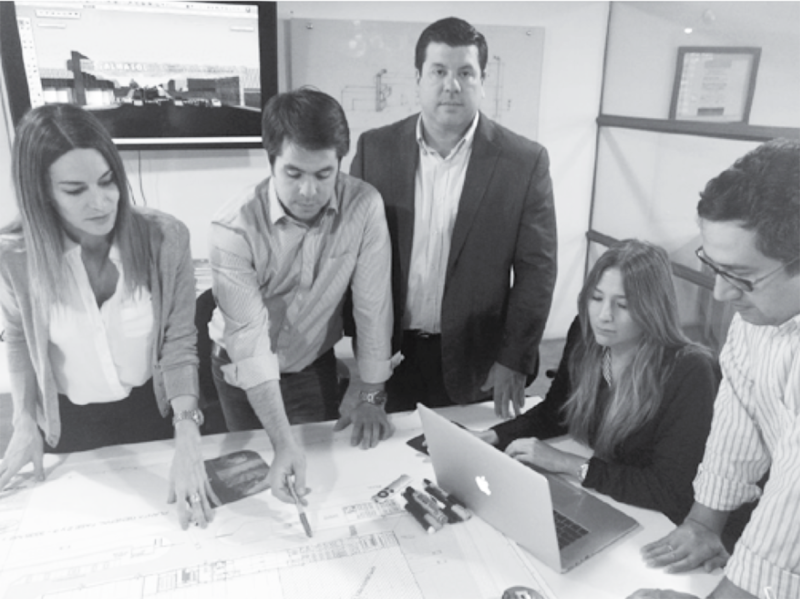 Together with our parent company, GICAL, we also own 50,000m2 in Ciudad del Este and another 10,000m2 in Trinidad, in the south of the country. LE: How and when was your BTS (Build to Suit) system born? JG: Our experience in logistics services across the country meant that we were able to identify a business opportunity with the arrival of international industrial groups deciding to settle here but could not find adequate locations or premises for their operational needs. We were the first to set up a technical office to work alongside clients to create a customised top location and build to suit for their industry. Finally, the way in which the group evolved over time enabled us to secure the financing required for works that cost millions of dollars and that have been financed by local banks, which put their trust in our management and solvency. LE: Can you explain why your clients turn to ALMASOL? ML: Because we resolve problems. Our workforce puts all its energy into finding an apt solution for the industry or company that has decided to make the move to our country. We believe that Paraguay’s workforce is among the best in the world and we can say so from experience. We do our best to make sure that the learning curve that our clients inevitably experience when they come to the country is as short and as cost-efficient as possible. We have been able to hand over ideally located factories of over 20,000m2, ready to open for business. We envisage Paraguay continuing along its path of success and constant growth within a context of huge regional crises in many South American countries. Paraguay has invested all its energy in becoming an industrial platform with friendly ties with Brazil and other nations.